For Australia's Eyefear consistency is becoming commonplace; and this could be a dangerous omen. Last year's 'A World Full Of Grey' was a blistering, no-holds-barred, assault of aggressive heavy/power metal with obvious progressive threads woven through it. It was my first experience with Eyefear and I found myself entertained but cautious. What would the future hold? 'The Unseen' delivers more of the same, yet less of what I expected. Much of my opinion rises from two songs: 'Wasting Away (Alone)' and 'From Darkness Till Dawn.' The former with it's simple keys and vocals is an unexpected and pleasing departure from the heavier content. The later begins with some strong riffs of heavy power metal but then drifts toward melodic metal in the last third, another interesting departure from earlier work. Overall, Eyefear still delivers on the weightier side of progressive and power metal. Actually, I think this work has less prog points than 'A World Full Of Grey.' Listening to songs like 'Bridge To The Past' and 'The Unseen,' I hear more heavy power metal than anything else. This is where my expectations got dashed. I was really hoping that the progressive metal would swell and enlarge in Eyefear's future compositions. Instead, there seems to be a subtle drift towards basic power metal with coincidental nods to progressive music. Yet, I did find 'The Unseen' impressive and quite enjoyable; but again, I remain only a little skeptical of raising my expectations for the next release. 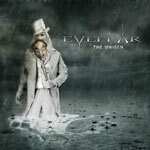 Eyefear's 'The Unseen' is an impressive and enjoyable power/prog metal listen. However, where I expected more of the progressive metal inherent, but only being to boil, on last year's 'A World Full Of Grey,' this work seems to be drifting, ever so slightly, toward general power metal. And that is not a good thing.